wow I haven't posted up here for awhile.... I've been trying to keep up with all sorts of fun projects and all that jazz...so anyways here's a little reminder to say that I'm still alive and I'm going to be posting up some more work... 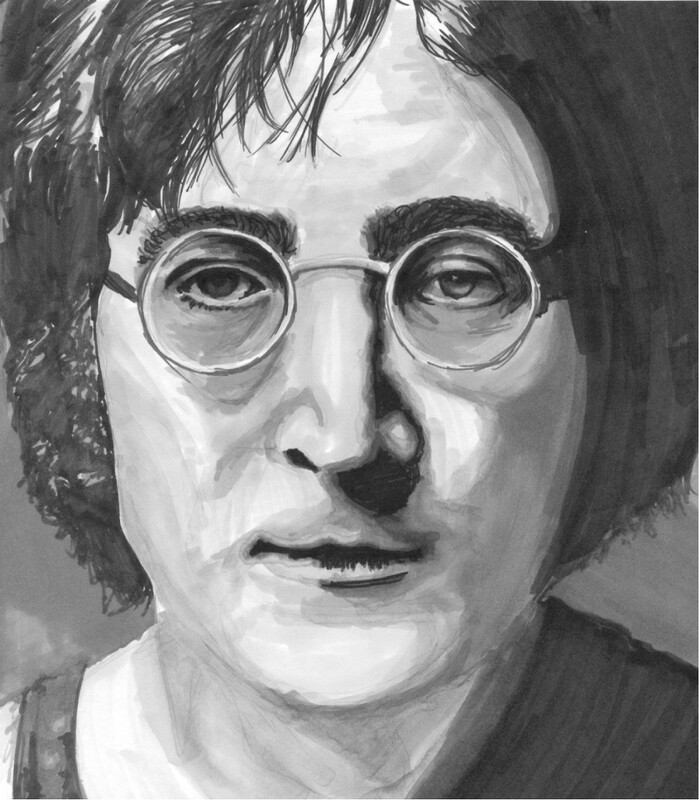 It's John Lennon (if you couldn't tell) from the beatles and he was a request from a friend a couple of weeks ago, so I did a quick pen sketch of him and it turned out pretty okay... so yah anyways I'm gonna go and post up some more work now, k? Fantastic almost vector like shading! This guy must be feeling like a million bucks in his grave knowing so many people draw him after he is dead! HOLY CRAP THAT IS REALLY GOOD! you are amazing! Whoa.... that's awesome. GO JOHN LENNON!! wow!! that is very impressive! excellent job!